Welcome to All Sensors “Put the Pressure on Us” blog. This blog brings out pressure sensor aspects in a variety of applications inspired by headlines, consumer and industry requirements, market research, government activities and you. In this blog we’ll be discussing the pressure in washing machines. Pressure applied to a liquid flowing through an orifice produces atomization. Factors affecting the atomized droplets or particles’ size include surface tension, viscosity and density of the fluid. With increased fluid pressure, the particle size will increase. Two common applications of atomization are atomizing spray guns and spray drying. 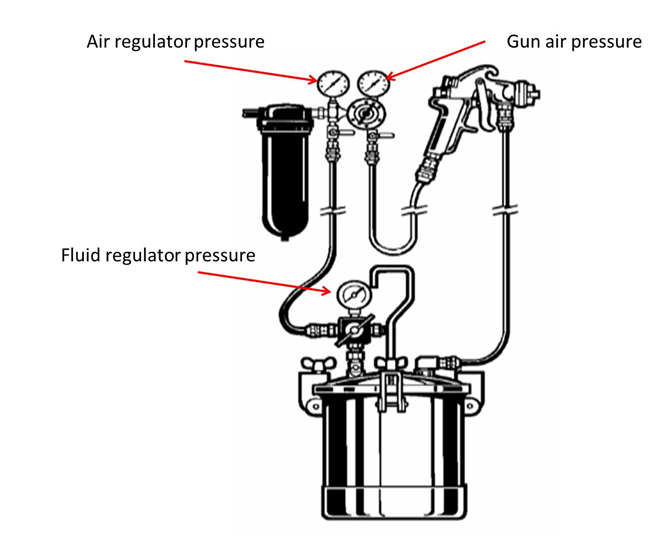 The pressure feed system for Air Atomizing Spray Guns consists of a pressure feed spray gun, a pressure feed tank (cup or pump), an air filter/regulator, air and fluid hoses and an air compressor. Three pressure reading are made in the process. Critical steps in the set-up include setting the fluid pressure on the fluid regulator between 5 to 10 psi and setting the air atomization pressure on the air regulator between 30-35 psi. The atomization pressure is increased in 3 to 5 psi increments until particle size and finish texture are acceptable. In a spray drying process, a spray is created by forcing the fluid through an orifice. A spray dryer feed pump provides the energy required to overcome the pressure drop. In contrast to spray painting, while the spray drying pressure depends on feed characteristics and desired particle size, it can range from 300 to 3,000 psig.